Leading up to Nike’s annual Air Max Day celebration on March 26th, there’s always anticipation as to what the Swoosh have got in store for us each year to celebrate the birth of the seminal technology. 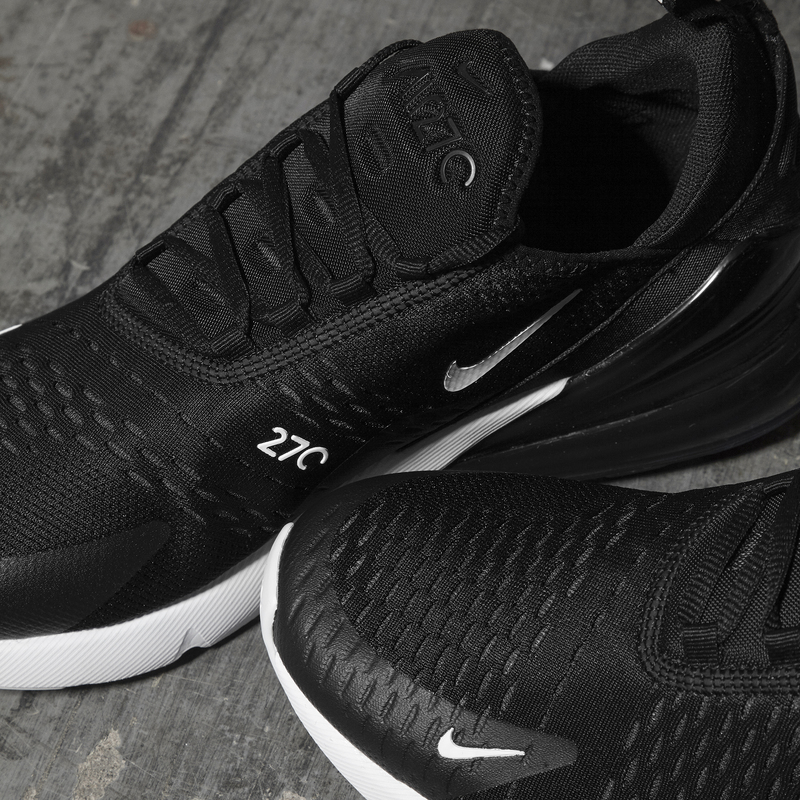 Following on from the reissue of the Air 180 OG in January, Nike’s present their latest silhouette to add to the family tree, the Air Max 270. 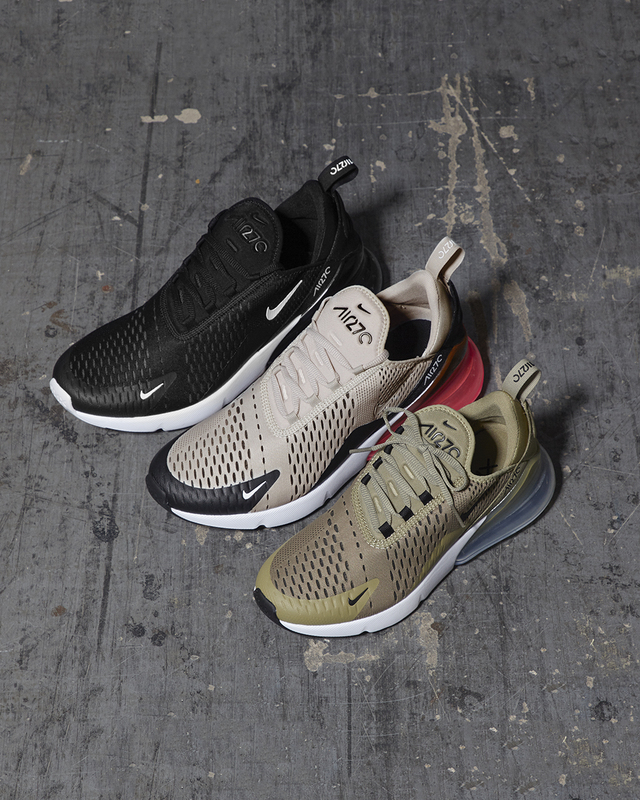 The 270 features the first lifestyle Air unit produced by Nike. 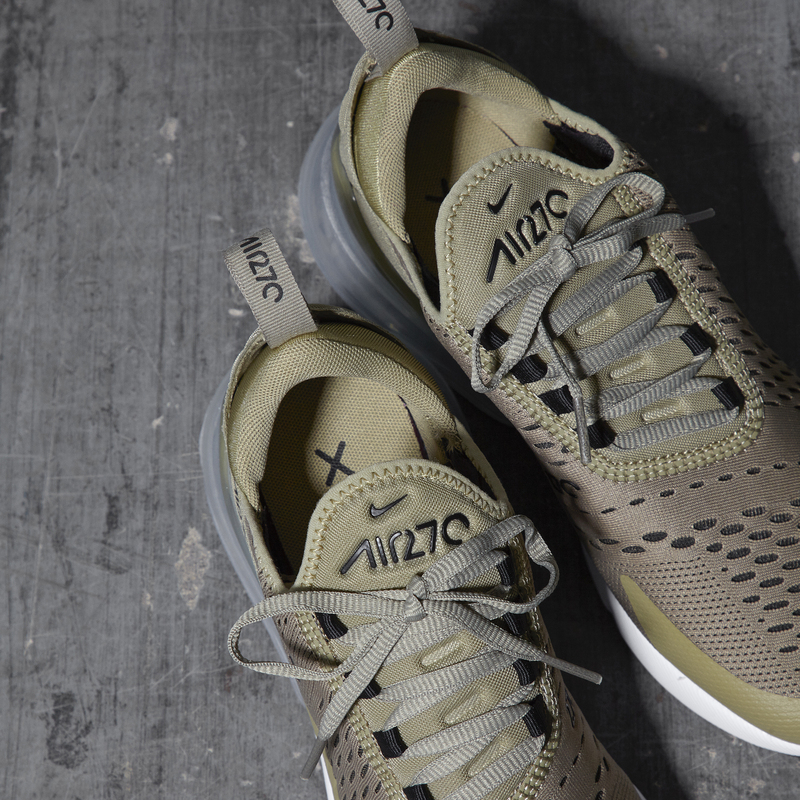 Although in years gone by Nike have released shoes designed for lifestyle purposes, like 1987’s Air Safari, the Max 270 unit is the first of its kind to be fashioned with the same rigor as sport performance but for the needs of everyday wear. The form itself dips into the archive and takes inspiration from the Air Max 93 and the Air Max 180. 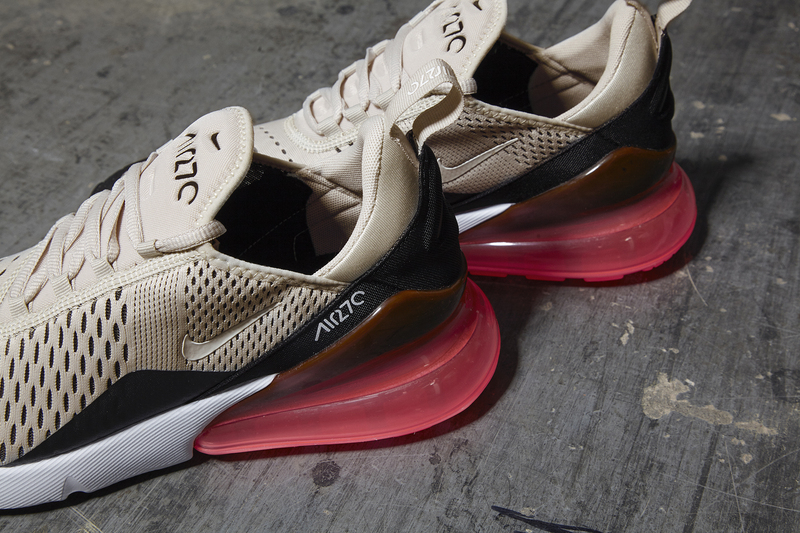 The name 270 came from an internal Nike moniker for the Air Max 93, which referred to the 270 degrees of visibility for the silhouette’s Air unit. From the 93, the trainer borrows its neoprene detailing and sock-like fit – which Nike first introduced 25 years ago in what was then a radical transition within footwear. Keep an eye out for several colourways down to the line that nod to it’s predecessors through relevant palette’s. At 32mm, the 270’s heel bag is the tallest ever made. Produced in a series of vibrant shades, the midsole pops from the shoe’s mesh uppers, and the pair’s bootie-style construction provides slip-on comfort each time you step in. Accented with Swoosh branding throughout for signature brand appeal, the lightweight trainer also boasts a rubber outsole to ensure supportive traction for your daily excursions. 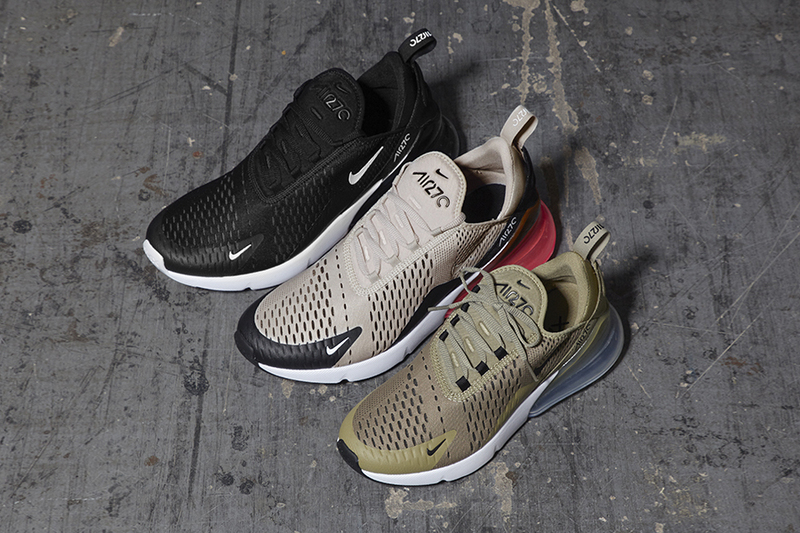 The Nike Air Max 270 is available online and in all size? stores now, with more colourways to follow in the lead up to the Air Max Day celebration.